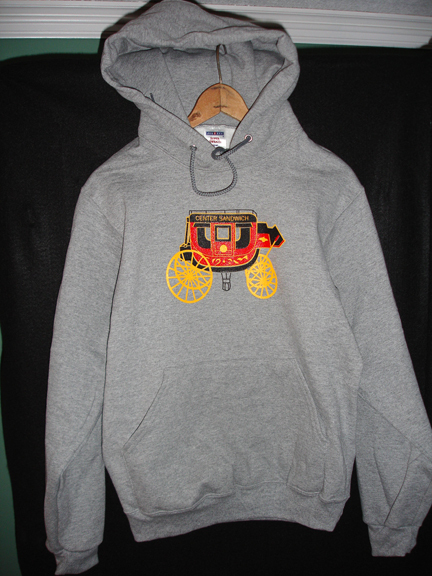 Navy blue, cotton-poly blend, hooded sweatshirt. "Est. 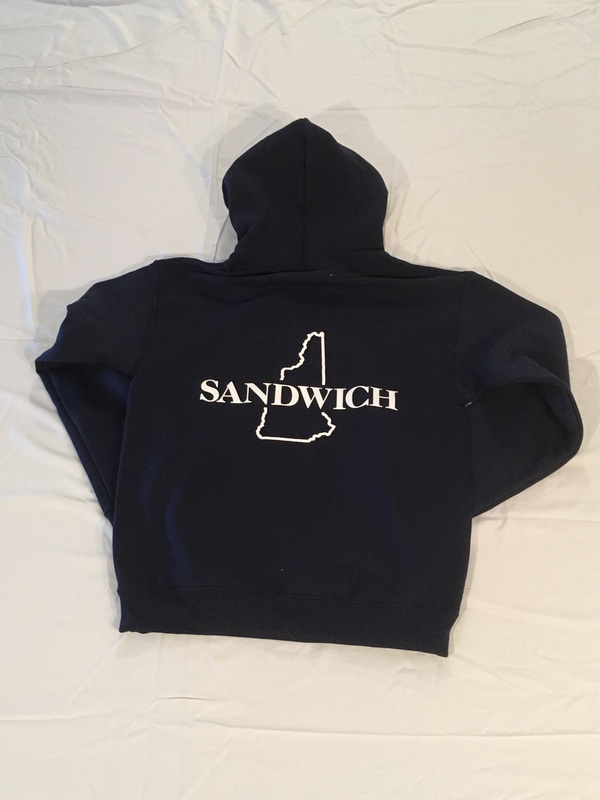 1763" on front; "SANDWICH" in large letters across an outline of the state of New Hampshire on the back. Grey, heavy cotton-poly blend, crew sweatshirt. 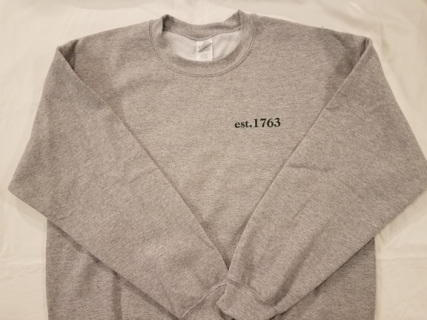 "Est. 1763" on front; "SANDWICH" in large letters across an outline of the state of New Hampshire on the back. 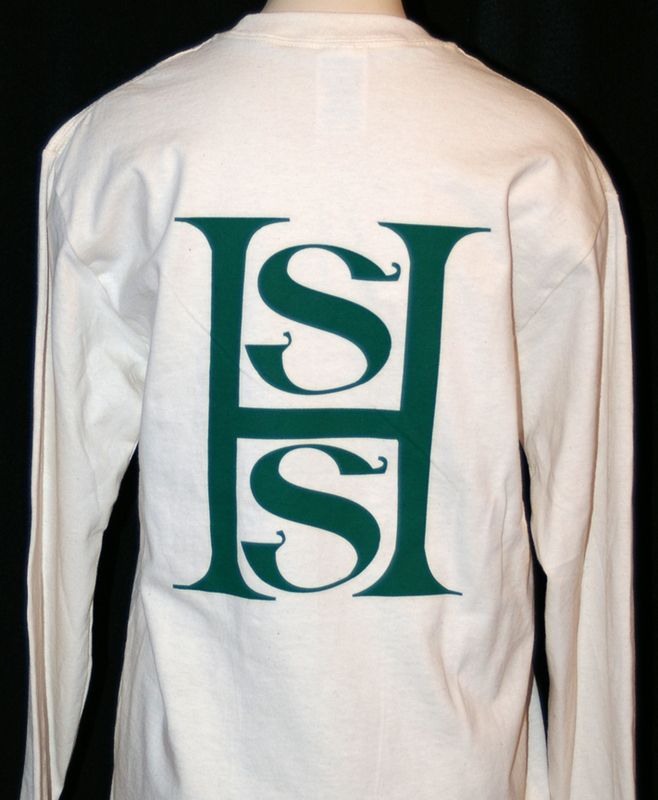 Long sleeved 100% Cotton T-Shirt with the Sandwich Historical Society letterhead logo and quote from Cornelius Weygandt about Sandwich - "Coming here is always coming home." 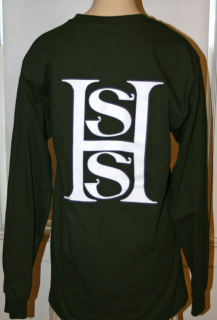 on the front. 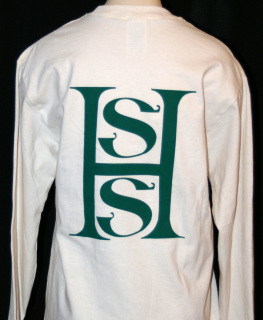 The SHS letter logo on the back. 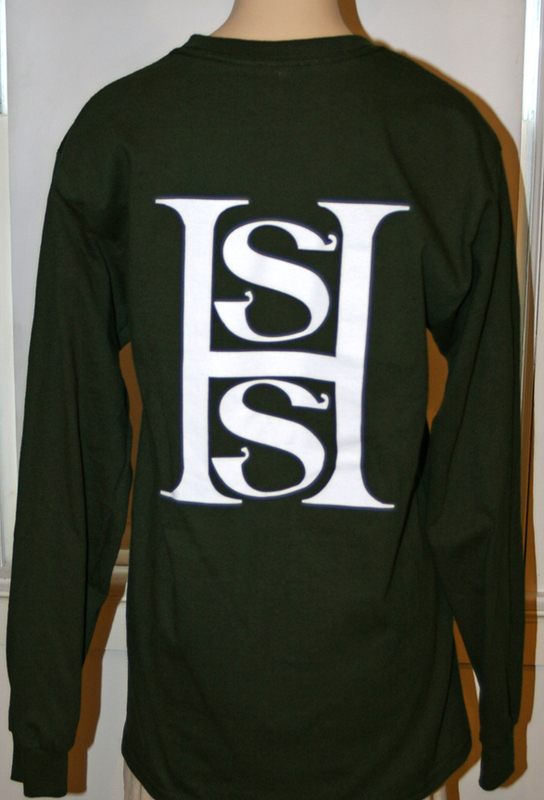 Color is forest green with white lettering. Gray cotton/poly blend 9 oz crew neck sweatshirt with the Sandwich Coach stenciled on the front. 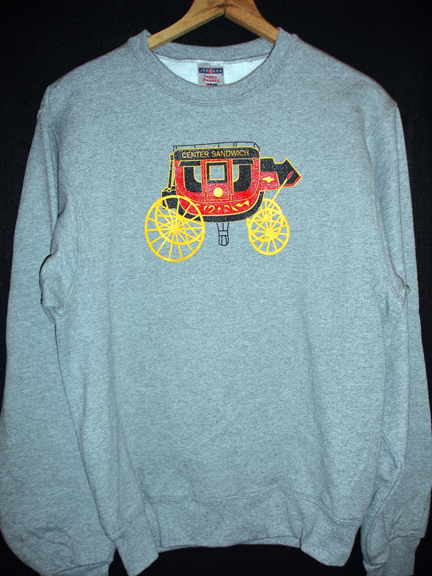 Gray cotton/poly blend 9 oz pullover sweatshirt with the Sandwich Coach stenciled on the front.